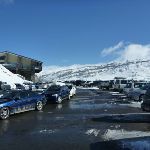 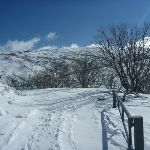 From the car park in front of the Guthega Centre (before the main resort), this walk follows the road for a short distance east (out of town) then turns left and heads down along the management trail towards the dam. 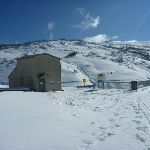 The walk soon passes a ‘No Entry Authorised Vehicles Only’ sign and then heads around the locked gate  and down along the gravel road. 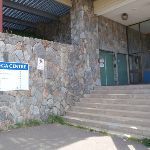 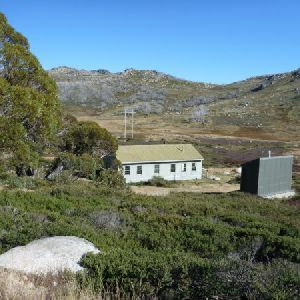 The management trail gently winds down the hill, enjoying the views of the dam wall, and soon comes to a large clearing, some information signs and a building just before the dam wall). 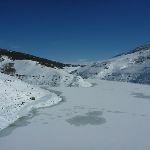 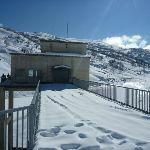 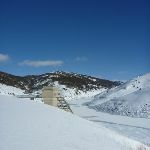 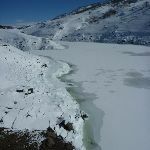 Guthega Dam collects the water from Blue Cow Creek, Guthega River and the Snowy River. 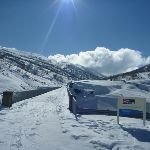 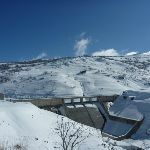 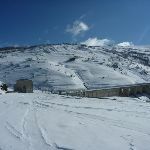 The dam has been built to provide the water and pressure to drive the Guthega Power Station. 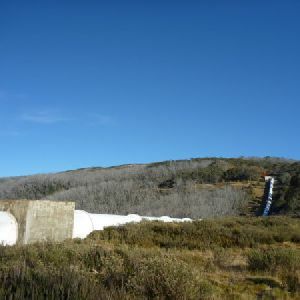 The water is carried to the power station via the Guthega pressure tunnel (and pipeline). 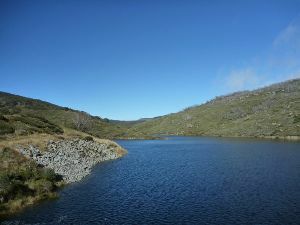 This dam is 33m high and 137m across at the top, and stores up to 1550 megalitres of water. 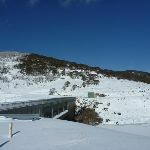 Continue straight: From the southern end of Guthega Dam wall, this walk follows the concrete road across the top of the dam wall, keeping the main pondage to your left. 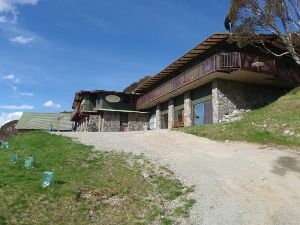 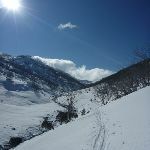 On the other side, the walk follows the management trail  which, after about 100m, passes the ‘Guthega Shaft’ (a building on the left). 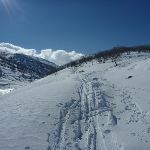 About 150m later, the management trail leads to a three-way intersection (where the main trail bends right to head up the hill). 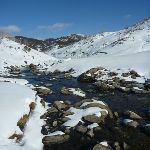 Continue straight: From the intersection, this walk heads along the flat track, keeping the Guthega Pondage below and to your left. 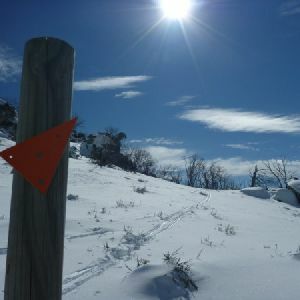 This walk follows a management trail for about 200m before the trail (and the flat walking) ends. 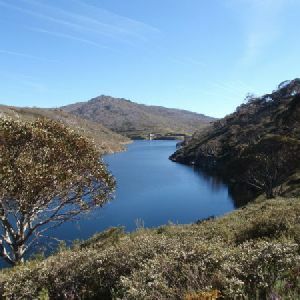 The walk now stays above the pondage and follows the sloping hillside for another 200m, passing the occasional dead snow gum, until gently coming down to the flat section beside Guthega River. 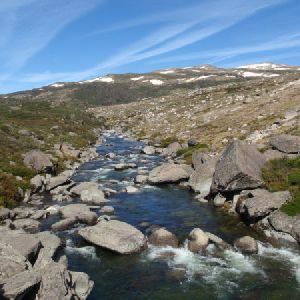 Here the walk continues upstream near the river for about 100m to find a small flat timber and metal bridge which crosses Guthega River (near the old ski lift on the other side of the river). 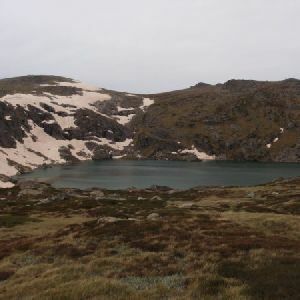 Around 1.1km of this walk has gentle hills with occasional steps, whilst the remaining 550m has short steep hills. 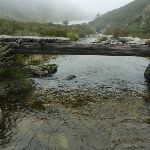 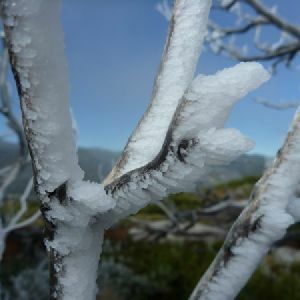 Around 1.1km of this walk follows a clear and well formed track or trail, whilst the remaining 550m follows a rough track, where fallen trees and other obstacles are likely. 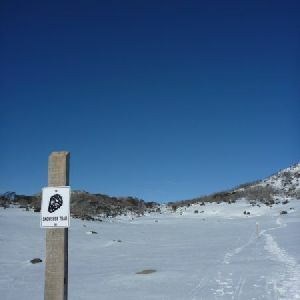 Around 1.1km of this walk is clearly signposted, whilst the remaining 550m has minimal directional signs. 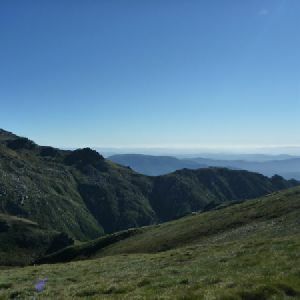 Around 1.1km of this walk requires some bushwalking experience, whilst the remaining 550m requires a leader a with moderate level of bushwalking experience. 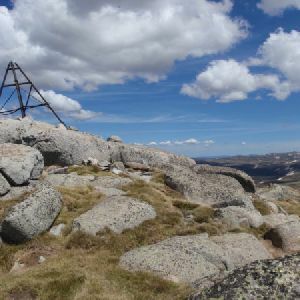 Around 1.1km of this walk is affected by storms that may impact your navigation and safety, whilst the remaining 550m is affected by forecast, unforecast storms and severe weather events that may impact on navigation and safety. 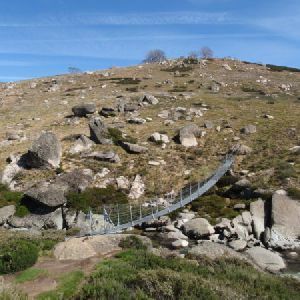 Around 1.1km of this walk is close to useful facilities (such as fenced cliffs and seats), whilst the remaining 550m has limited facilities (such as cliffs not fenced, significant creeks not bridged). 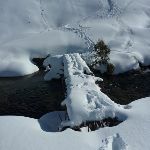 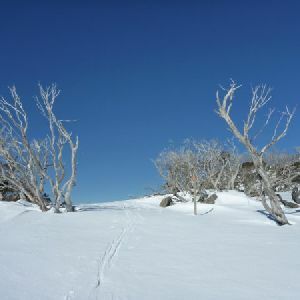 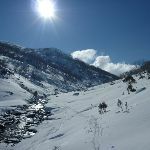 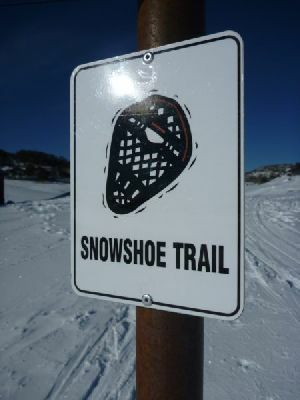 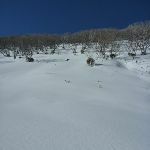 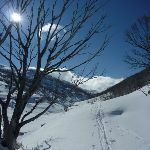 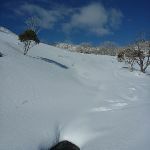 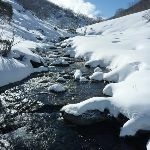 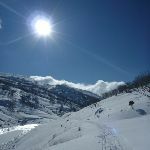 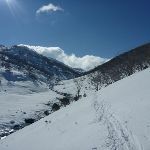 A list of walks that share part of the track with the Guthega River Snowshoe walk. 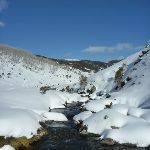 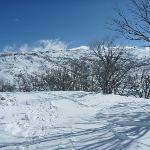 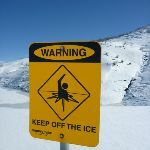 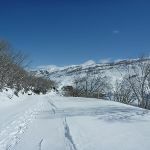 A list of walks that start near the Guthega River Snowshoe walk. 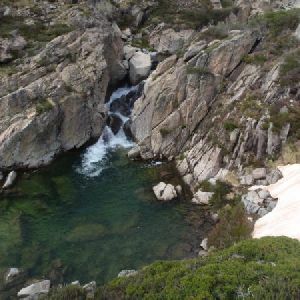 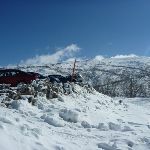 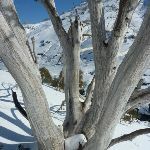 http://new.wildwalks.com/wildwalks_custom/includes/walk_fire_danger.php?walkid=nsw-kosciunp-grs Each park may have its own fire ban, this rating is only valid for today and is based on information from the RFS Please check the RFS Website for more information.